With the final stages of the second season of F1’s esports championship set to get underway in October, teams (yes, actual F1 teams) are finalising their driver line-ups. Real-life reigning champions Mercedes has set up its own team, called Mercedes-AMG Petronas Esports. 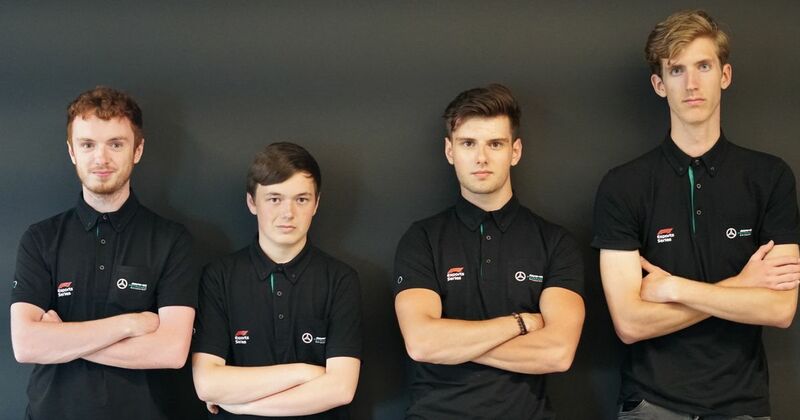 It’s taken on reigning esports champion Brendon Leigh as part of a four-driver team, which also includes fellow Brit Harry Jacks, Patryk Krutyi from Poland, and Hungarian Dani Bereznay, who was selected by Mercedes following the ‘pro draft’ which took place in July. As you’d expect, Mercedes is going all-in with its efforts by building a dedicated training facility at the factory in Brackley, teaching things like race-craft and car setup. There will also be full nutrition, fitness and personal well-being programmes designed to extract the best performance possible out of the competitors. Yup, there’s more to esports these days than just playing games. What Can We Expect From Leclerc At Ferrari Next Year?